Kia Sweeney (far right) oversees a group of 7th graders at Ann Arbor’s Forsythe Middle School making bracelets as part of a community project. There are many issues in the Ann Arbor area that people don’t often talk about very much. One of them is the income disparity of residents and the impact of that on young girls. 7th graders at Ann Arbor’s Forsythe Middle School participating in Girls Group activity. Ann Arbor's Girls Group was founded 15 years ago by retired automotive executive Sue Schooner, who now serves as the group’s executive director. Ann Arbor’s Girls Group helps young women learn to manage their academic, emotional, spiritual, sexual, and social health. 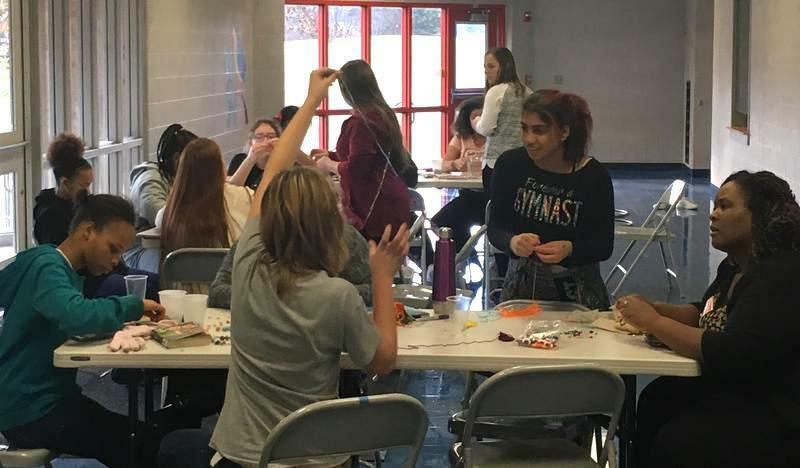 When Schooner first started the program to connect and offer support to young women, there were between 10 to 15 girls involved, and that has now grown to serving over 500 Washtenaw County girls a year. 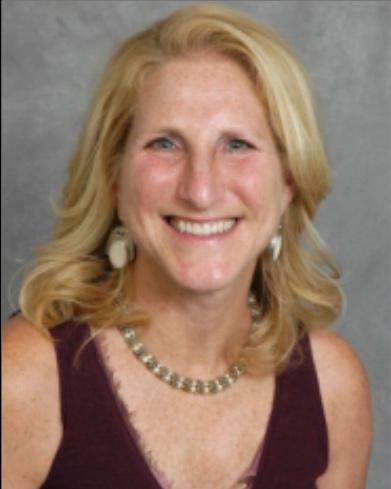 Sue Schooner is the founder and Executive Director of the Girls Group. On a recent Tuesday, about a dozen 7th graders gathered for various activities and lessons at Ann Arbor’s Forsythe Middle School. They were making bracelets for Ozone House as part of a community service project focusing on homelessness and how it affects their community. One 13 year-old Girls Group 7th grader says the organization has helped her find ways to deal with some anger issues. Another 7th grade Girls Group participant from Ann Arbor says she enjoys what she gets from the group as far as life skills and friendships. Program director Kia Sweeney says it’s their goal to teach girls how to tap into the amazing resources in the community. Shalonda Williams is a senior at Eastern Michigan University majoring in social work and is doing an internship with the Girls Group and says she feels like she is making a difference and learning a lot at the same time. Teaching social, emotional skills are a big part of the program emphasizing healthy relationships, time management, and organizational and study skills. Helping adolescents deal with their rapidly evolving bodies and brains and the effects of social media are also emphasized as well, in addition to exploring new things and not letting your failures define you. All important skills for young women to learn, according to Kia Sweeney, especially in a community with the perception that everyone is “wealthy or privileged"--something she says may be hidden in plain sight but is not true. Glass ceilings are being broken in many industries that have long been male-dominated. To this day, there are businesses built on what many perceive to be a man’s job. For instance, who do you picture when you think of a barber? In our latest installment of “Hidden in Plain Sight,” 89.1 WEMU’s Jorge Avellan reports on female barbers in Ann Arbor who are helping change that perception. A historic church in Ypsilanti will soon have a new mission and serve a different calling in the community. The First Congregational Church on Adams Street in Ypsilanti has been for sale for over ten years with no prayer, really, of being sold due to the extensive work and repair it required. That’s until Ypsilanti computer entrepreneur Steve Pierce and his surgeon wife Maggie Brandt decided to put their passion for restoring historic buildings into the facility. 89.1 WEMU’s Lisa Barry takes you inside the local church that is attracting musicians and performers much before its official opening...still hidden in plain sight. History gives us the opportunity to better understand the past and predict the future. A missing piece of Washtenaw County history, dating back to 1898, was recently discovered sparking a community effort to share the local piece of history with area residents. 89.1 WEMU’s Lisa Barry follows the path to the past and the future of dozens of historic beams from inside an old log cabin in Ann Arbor that, until recently, were…hidden in plain sight.